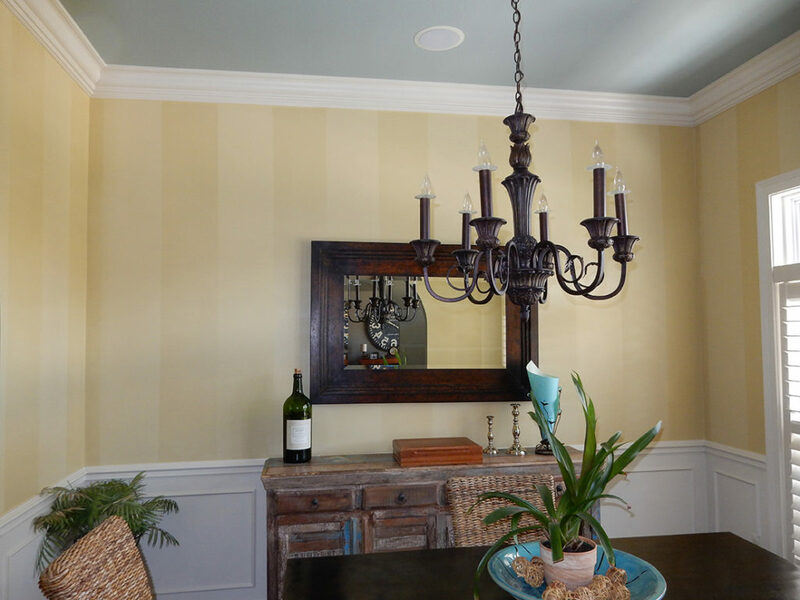 Dwayne chose a buttery French provincial yellow (i.e. 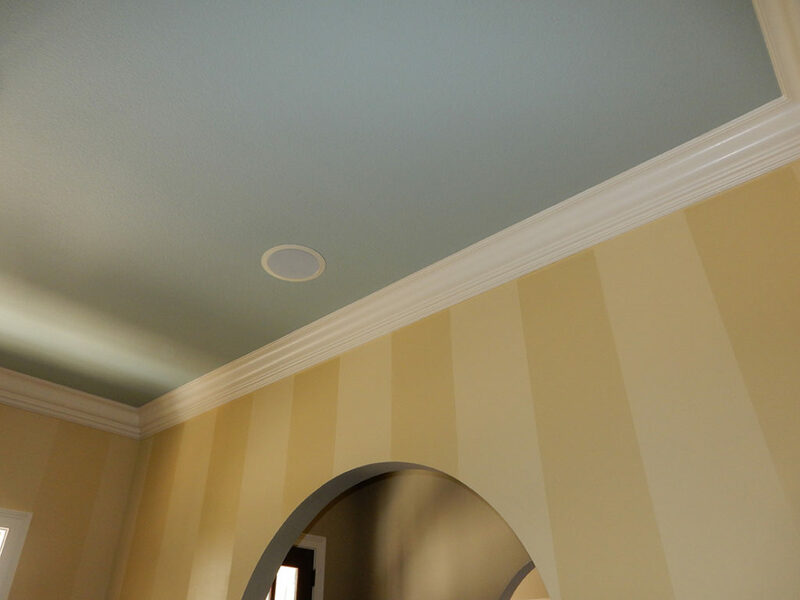 Waterbury Cream) for the dining room, with a complementary muted French turquoise (soft blue/green) for the ceiling space. 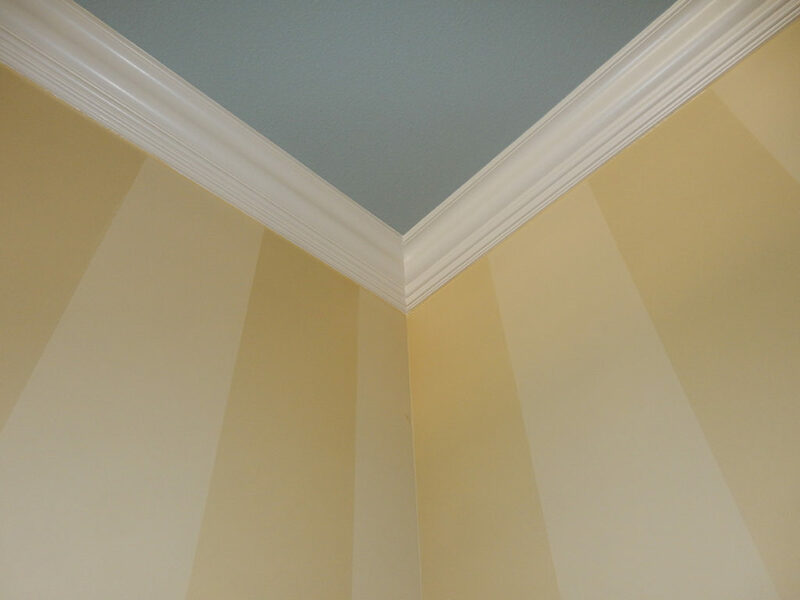 He applied a clear glaze in 12” stripes to the walls to ensure the space has a lovely/smart visual appeal. 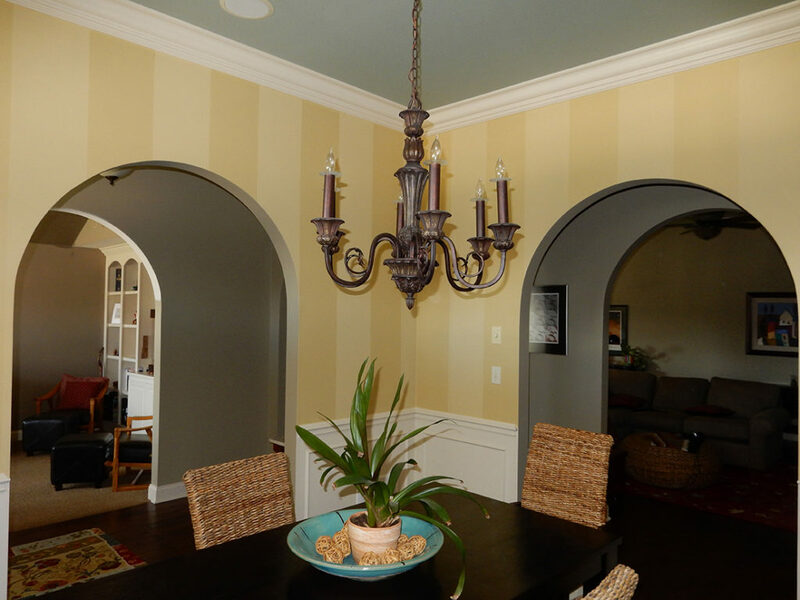 Dwayne chose “Clarksville Grey” for the paint color that extends from the archway and into other rooms. 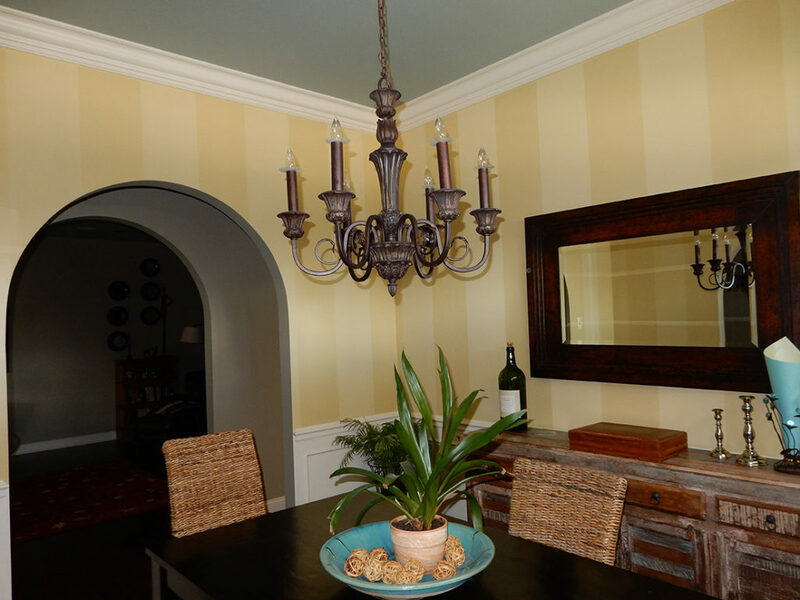 It’s an ideal transitional color in the home as it changes tone depending on the ambient and surrounding light.